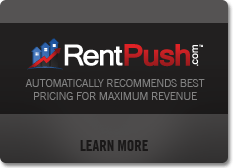 I want my website to be a virtual leasing office. I want to know where to spend my advertising budget. I want to know how many leads/traffic/phone calls I am getting - FOR REAL. I want to send email broadcasts to my contacts. I want to spend less time on updating my market survey and have better information on hand along with impressive reports. Welcome to the Ultimate Desktop. SweetSpot connects you to your most vital leasing and marketing tools simultaneously. It sets you free to lease and manage wherever you like: by your pool, in your clubroom or fitness center, in your model or available unit, or at your desk. Login to SweetSpot on your desktop, iPad, tablet, smartphone or laptop and share instant access through all of your computers and mobile devices -- open leasing and management applications with just one login and password. And that is only the beginning of being home free with SweetSpot. Our property management software is not just about the iPad or leasing on the go: it is also about time-saving integration that pulls all your prime resources into one central location with you at the control panel. 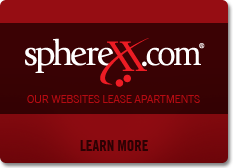 Enhances leasing data for best visibility, prospect interaction and quick close. Show off brilliant, digital neighborhood tours with places of interest. Pre-qualify prospects with SweetSpot tools by determining how much a prospect can afford and it even calculates prorates. Show prospects how their apartment is situated to amenities, parking and courtyards. Enter guest card data directly into SweetSpot or access through ILoveLeasing.com. Share interior finishes, your photo gallery and floor plans. Share current availability at your fingertips. Integrates seamlessly with your current website and desktop. Connects rental applications, screening services and guest card data. 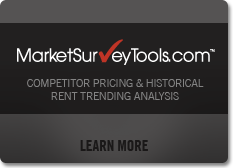 Get critical market updates, Craigslist ad responses, statistics and real time availability from subscribed services with one click or touch. 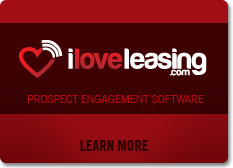 Deliver guest card data through ILoveLeasing.com directly into AMSI, MRI, Yardi or Real Page software. Create property tour notes with ease. Super shortcut features and much more. For property managers, business as usual has been left at the office. Onsite and online, today's managers increasingly have one indispensable tool with them at all times: an iPad. It's not a laptop, not a netbook, not even a big iPhone. The iPad is a lightweight, supercharged tablet capable of reinventing a property manager's point of sale while staying in the loop on their e-mail, calendars, tenant requests, social networks and more. The iPad is making major in-roads into business, where it can create more engaging, breathtaking presentations, eye-popping video conferencing and take mobile computing to a whole new level. Following a series of conversations about the iPad at last April's IREM Summit, JPM® thought it appropriate to feature how CPM Members are integrating the iPad into their business.